The first part of the last page is complete. All the leaves are stitched and outlined. 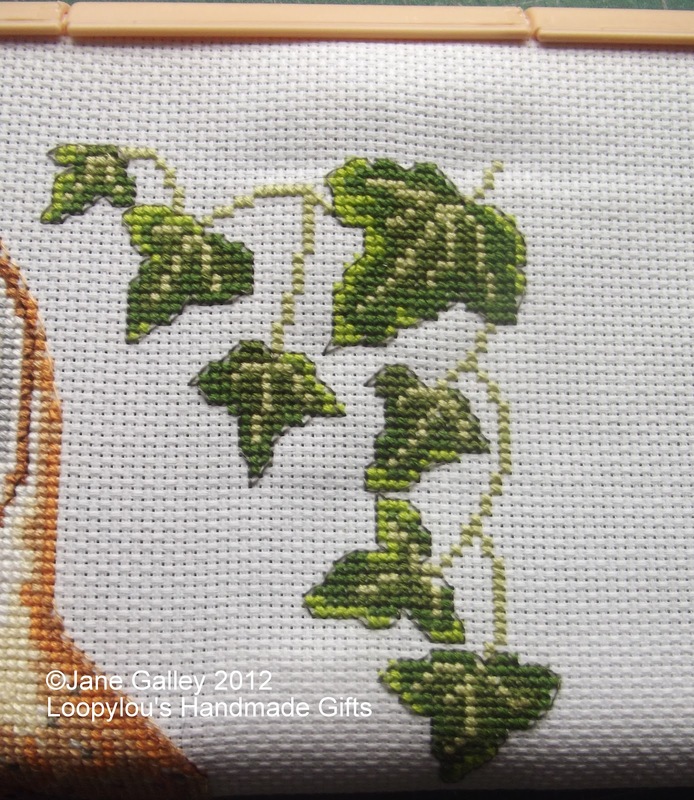 It means I'm now working on the tail of the last owl. Wonder if I keep Daniel out all week! Lovely. Give him some chores to do to keep him out of your hair until you get it finished! lol I agree with Maggi on the chores. You are doing a wonderful job. Not much more to go. Hope he is away a lot this week.